In the latest episode of UAE Spotlight, Sport360 duo Matt Jones and Matt Monaghan are on hand to discuss the region’s big sporting talking points. Among them, Matt Jones looks back at an action-packed weekend of Emirates Airline Dubai Rugby Sevens action and how our local teams fared, while Matt Monaghan has more on the news that Cosmin Olaroiu has left Al Ahli Dubai. Get in touch with your thoughts on the action in the UAE via Twitter and Facebook. XDubai is taking ziplining to the extreme with the unveiling of the new XLine. Set in Dubai Marina, the new XLine is not only the world’s longest urban zip line, but also one of the steepest and fastest, measuring one kilometre, with an incline of 16° and travelling at an average of 80 kilometres per hour. The XLine follows in the footsteps of the popular original which launched in late 2015 at The Dubai Mall over the iconic Dubai Fountain. Building on the earlier archetype, the new XLine literally goes the distance, doubling in length and offering daring duos the ability to experience it together – swiftly yet safely – through two concurrently running ziplines. 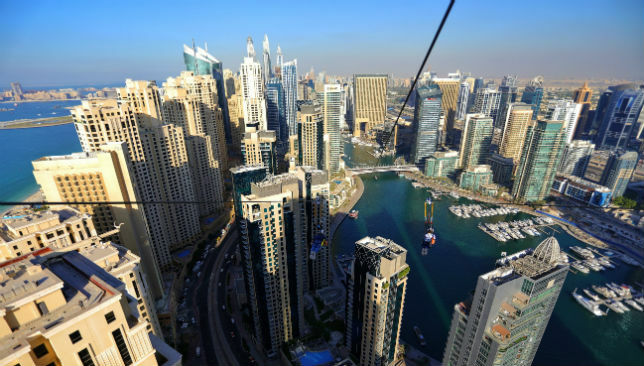 Also new is the superman style harness, which allows zipliners to channel their inner superhero with an electrifying flight-like experience as they zip from one of the Amwaj towers in JBR, 170 metres in the air, weaving through skyscrapers and across water, down to the terrace of Dubai Marina Mall, landing in close proximity to amazed bystanders. Building upon the success of the original XLine, the new version will also be open to both visitors and residents* of Dubai for a limited time with public bookings open now. All those experiencing the XLine will be able to share the experience to the world through a helmet mounted Go-Pro with photos and video delivered via email following the experience. “We wouldn’t be XDubai if we didn’t push the limits of what is possible,” said Mohammed Javad, General Manager of XDubai. HH Crown Prince of Fujairah with 10km Men Winners. 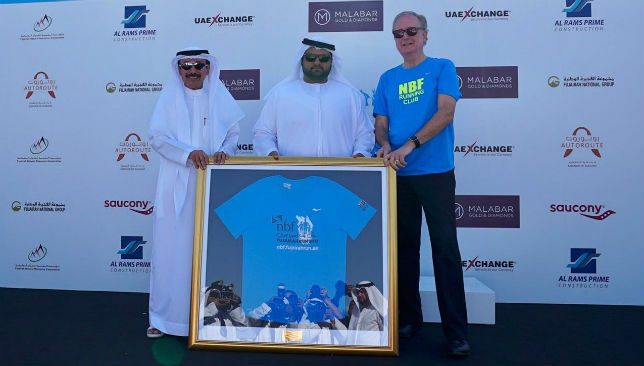 Over 1,500 participants took part in the inaugural National Bank of Fujairah PJSC (NBF) run on Friday morning (December 1) in the scenic emirate, which took place under the Patronage of His Highness Sheikh Mohammed bin Hamad bin Mohammed Al Sharqi, Crown Prince of Fujairah. Runners of all levels took part in the 3km, 5km and 10km races. 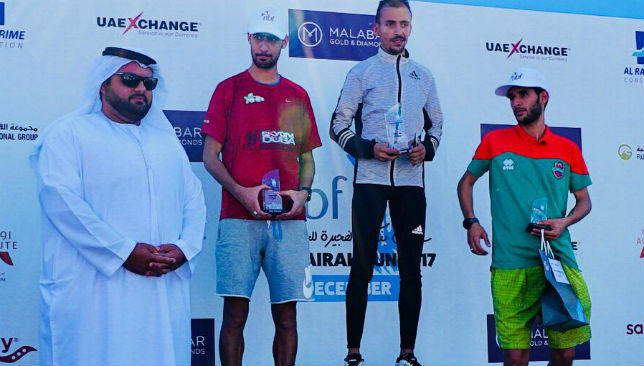 Some of the UAE’s best runners lined up for the first edition run in Fujairah. Moroccan Ahmed Tamri took the honours in the men’s 10km race with victory in a time of 29 mins 48 seconds, whilst the women’s 10km race was won by Ethiopian Adawork Aberta with a time of 33 minutes 58 seconds. The men and women’s 5km and 3km races were also both completed with competitive times of 15 minutes 7 seconds and 25 minutes 27 seconds in the 5km race, and 13 minutes 32 seconds and 16 minutes 32 seconds in the 3km race respectively. 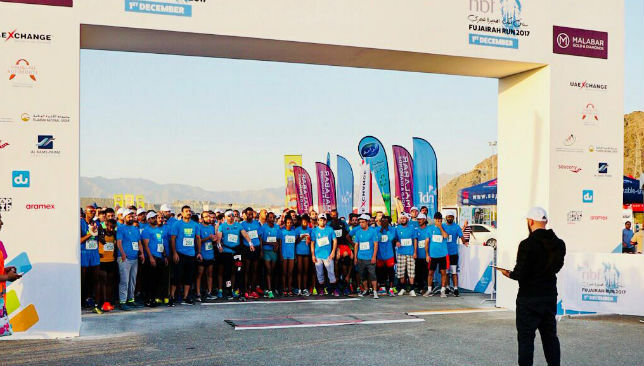 Runners of the course navigated their way down alleyways, past the Grand Mosque, over bridges, past shops, and alongside the Fujairah Fort, making for an exciting race track in the very heart of the emirate.